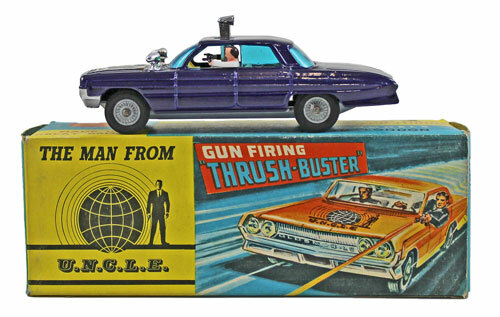 It was our first Die Cast, Model Soldiers and Toys Auction of the year with over 419 lots on offer. The bad weather did nothing to deter keen bidders with many queuing at the door when viewing opened at 8:00am! We began with an excellent section of WWE wrestling figures. There were 18 mixed lots of mainly models by Jakks and Mattel. They sold for a combined total of £4,560. 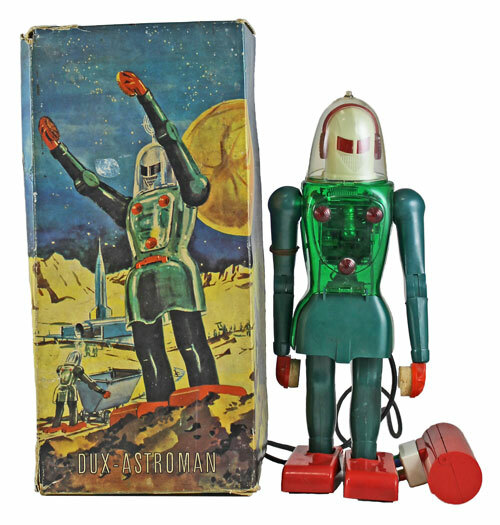 In the named toys, this unusual Dux 1950s Astroman plastic battery-operated robot, No. 150, realised £276. 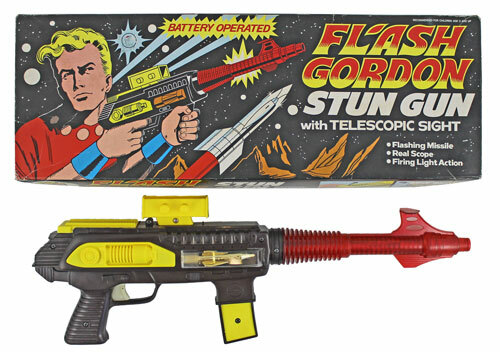 And this King Features Syndicate (Hong Kong) 1979 Flash Gordon Stun Gun achieved £132. There was a fantastic selection of model soldiers offered in this sale. 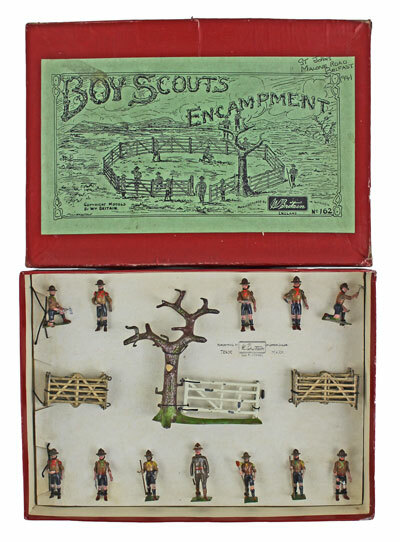 Highlights of which included this Britains Boy Scouts Encampments No. 162, which sold for £690. This Britains Mammoth Circus No. 2054 set realised £264. And this very rare C.E.T. & Co. Charterhouse Sand Bag Encampment achieved £690. 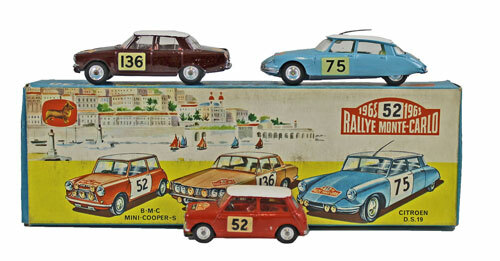 Moving on to the die cast section, this Corgi 1965 Monte Carlo Rally Gift Set No. 38 sold for a whopping £720! This The Man from UNCLE’s Thrush Buster No. 497 achieved £204. And this Avengers set No. 40 realised £348. 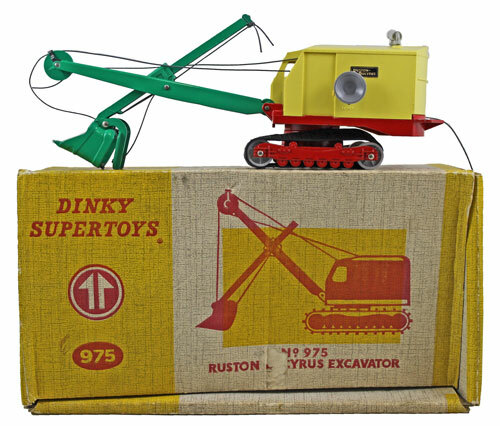 In the Dinky section this Rushton-Bucyrus Excavator No. 975 achieved £192. And this Dinky Car Carrier with Trailer No. 983 sold for £180. 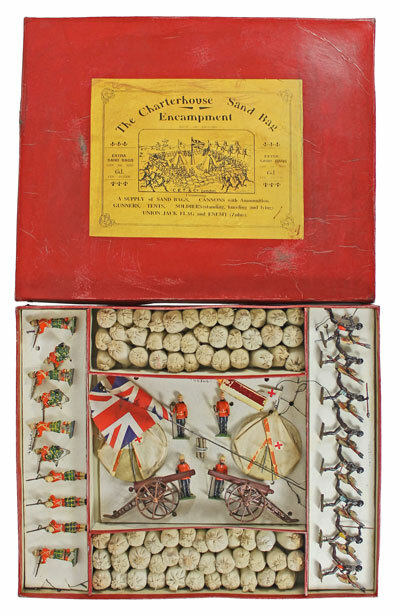 Our next die cast, model soldiers and toys auction will be held on Wednesday 21st March 2018. The full catalogue for this sale will be on our website in the next few weeks or keep an eye on our Twitter and Facebook pages which will include updates of our latest auction news. 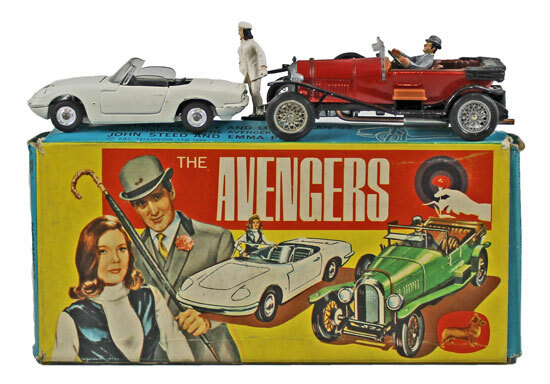 Are you thinking of selling your toy collection or perhaps part of it? Would you like us to value your collection and give you advice on how best to market it? Visit our Die Cast, Model Soldiers and Toys department page for more information or call us on 01926 499 031 and ask to speak to one of our experts.